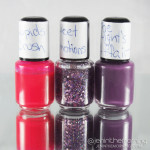 I recently won a giveaway from Peachy Polish for her 2 year blogiversary. If you have never been to her blog: stop, drop and go! 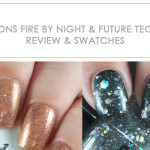 She does amazing swatches and is one of the blogs I visit to see great Indie brand swatches. I was shocked that I won, because I’ve never won a giveaway before! I won 5 bottles of CrowsToes polish (you can take a look at what they have at Llarowe). All of the ones I received are gorgeous and I will eventually use all of them, but this post is for Candied Brains Anyone?! Crows Toes – Candied Brains Anyone? Seeing as how it is late October, it seemed fitting to put this one on first. 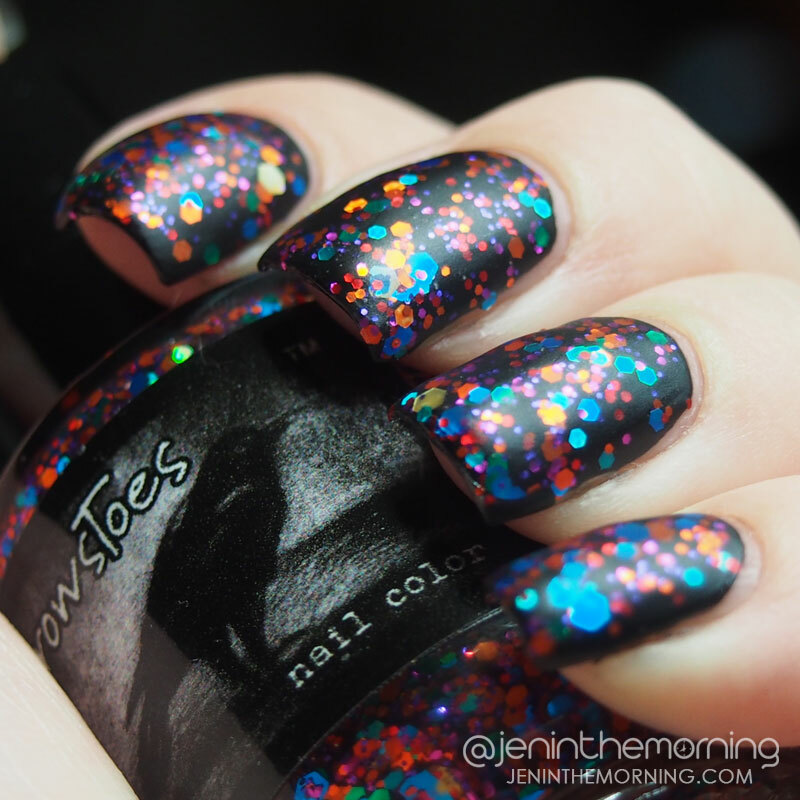 I don’t wear a lot of chunky glitter, but this polish was like a party in a bottle. 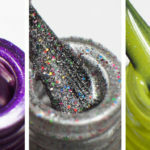 It is a clear base with red, orange, blue, green, gold and purple hex glitters in various sizes. I was really impressed with how dense this glitter was. As you can see from the picture above, you don’t have to go fishing for the glitter at all. Yummy! I can’t wait to try the others as well! 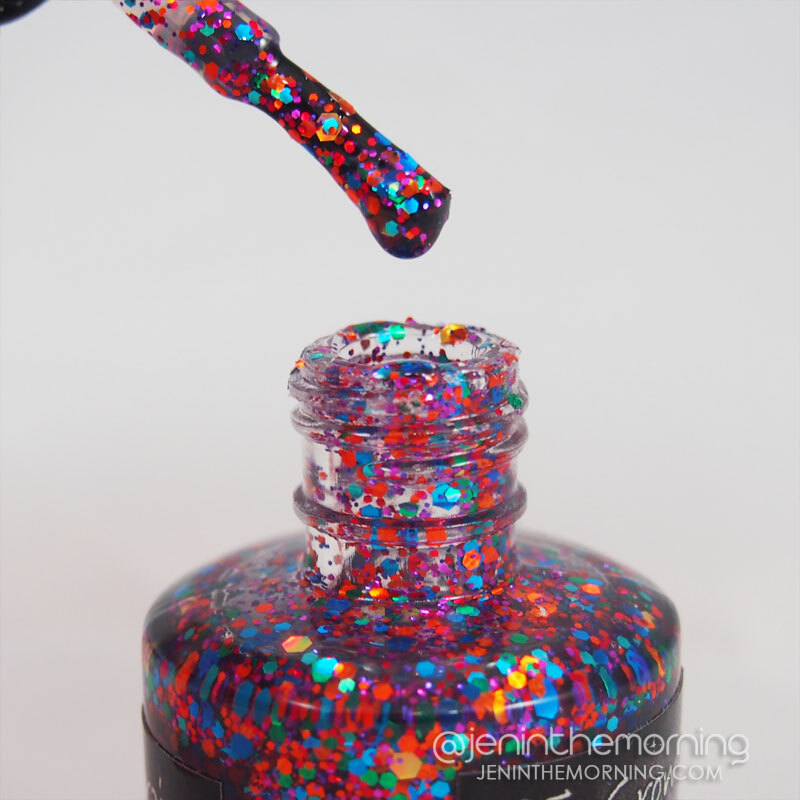 I don’t have much experience with chunky glitters outside of China Glaze and a few pharmacy brands, but I found this so easy to work with and so dense with glitter that it wasn’t a fight to apply. Definitely in love!